Over the weekend, a fire broke out in an Oakland warehouse and arts collective known as Ghost Ship, killing 36 people. On Tuesday, government officials reported that the source of the fire may have been a refrigerator. 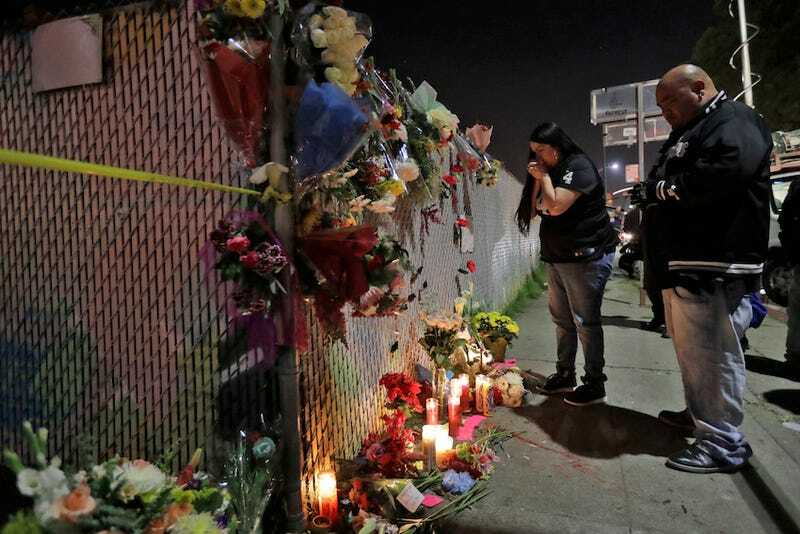 USA Today reports that Alameda County Sheriff Greg Ahern was told by the U.S Department of Alcohol, Tobacco, Firearms, and Explosives that while it’s too early to say for sure, a refrigerator in the warehouse may have been the cause of the fatal fire, which devastated a community. “On that back wall, there is a significant 45 degree burn,” Ahern told KTVU. A few survivors of the fire also told KTVU that they saw flames coming from the back of the refrigerator, but the investigation into the incident is still underway. In the meantime, a state of emergency has been declared in Oakland in order to qualify for federal and state funds to deal with the aftermath.